The Commission on Human Rights (CHR) is currently surrounded by controversy after its leadership Chito Gascon failed to bring deliver the CHR’s tasks precisely. 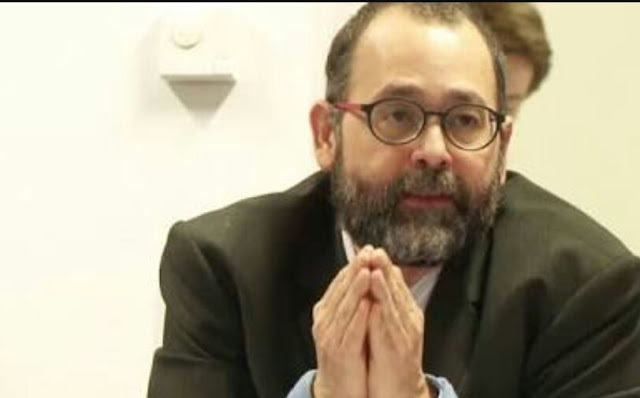 Instead the CHR under Gascon’s command has been used exclusively as propaganda by the Liberal Party whom which targets President Rodrigo Roa Duterte and advertises him as a cold-blooded dictator. In light of the deeds of the CHR, Duterte did the only course of action that he could. Knowing that it is mandated in the Constitution that the CHR must exist, he followed Cory Aquino’s footsteps and did exactly what she did when she gave the Bureau of Customs a 1000 peso budget. Other than that, the traitorous head has been coordinating with international bodies by sending distorted data on “human right’s violations” which made these righteous foreigners obligated to intervene. Gascon has tainted the image of the Philippine National Police (PNP) and the Armed Forces of the Philippines (AFP) by labelling them as blood-thirsty, barbaric law enforces who only know how to “shoot-to-kill” at first sight of an enemy or suspect. When in reality the military have been fending off the ISIS-aligned Maute fighters who have done crimes that can be labelled as demonic, like piking a teachers head on a spear to frighten soldiers. It should be the Maute fighters whom the CHR must’ve pinpointed yet they choose the AFP. So this leaves us with the question, is the CHR with the people or against the people? By reducing the budget of the CHR from more than Php. 600 million to only a thousand pesos, he has found a way to stick to the constitution while preventing the ever-so traitorous Yellow dog Commission from persuading the masses with their fake news and misdirected claims of human right’s violations. As of today, the CHR has no credibility which would’ve made it as good as non-existent. It has served no justice to the people and yet still has the guts to go against the people. It is a 600 million peso waste of people’s hard-earned money and a shame to the Philippines. May the Representatives and Senators find a way to dismantle such a useless Commission, because that 1000 peso budget could’ve been used for better things rather than to supplement the CHR.